Where to begin??? Well ACOWAR picks up right after ACOMAF. If you have not read ACOMAF yet while I will do my best to not include spoilers for ACOWAR I would suggest you stop reading because I cannot promise not to spoil parts of the previous books. When we leave off Feyre and Rhysand have been separated. Feyre is going “undercover” back to the Spring Court. Let me tell you right now if you thought you hated Tamlin by the end of ACOMAF just wait until this book. There are a few interactions that are absolutely awful. Will Tamlin be redeemed in this book well you’ll have to read it to find that much out. I liked that we do not have to wait for half the book to go by before we have Feyre and Rhysand back together. As that was a big worry for me after finishing ACOMAF. We get multiple new characters which is Maas’ way I have come to learn. Some of these characters are really awesome and have ties to characters that are already near and dear to us while others are just integral parts of the story. 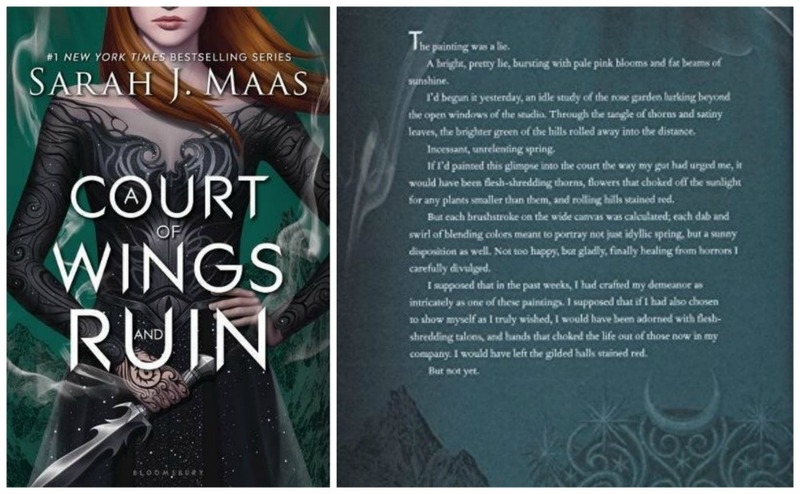 I liked that while there were some predictable plot lines that Maas stays true to form and throws in several curve balls that you do not see coming. Once again as in ACOTAR to ACOMAF you may have developed certain feelings about the characters and find them totally changed by the end of this book. One thing that does not change is your love for Feyre and Rhysand and the entire Night Court! We get to go back to the magical city of Velaris and learn more about this beautiful place. The story is fast paced and there is plenty of action. Also as you may have figured out that a massive war goes down. Allies and enemies may not be as clear as they appear and you will not be 100% sure about anyone and where they stand until the climax of the book during the major battle. The story did have a few parts that probably could have been skipped over but they did not drag on to the point of being bored with it. I really wish I could say more and rave about all of the DETAILS Maas includes in this one. She makes sure to address every question and to wrap things up so that you leave this one feeling like you have read a complete story. There are several more books and novellas slated for this series but from my understanding they will focus on the other main characters. So for those who do not want to start a series until it is complete fear not you can read these three books and not feel like you got the short end of the stick or that it all leaves off on a major cliff hanger because it does not. I also listened to the audio book which thankfully has a different narrator than the first two books in this series. Jennifer Ikeda has a much more slower paced and at times boring way of telling this particular story which made the first two books not as great as I thought they could have been to listen too. Amanda Leigh Cobb did a fantastic job with this book and I hope that she will have the chance to narrate future books in this series as well. 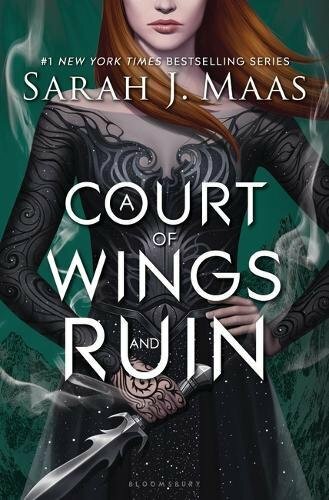 If you loved the first two books please do not expect this to be another ACOMAF but I would say that I loved it more than ACOTAR and it is an epic and fitting ending. Click on the image above to get your copy on Audible today. Click HERE to get your copy on Amazon. Click the image above to see Kris’s 5 Bean Review of ACOTAR. Click the image above to get your copy on Audible today. Click Here to get your copy on Amazon today.